This is almost too easy to make and it took about 30 - 45 minutes to put together. Try it, it's good and most importantly, it's EASY!!!!!! Debone the chicken thigh. 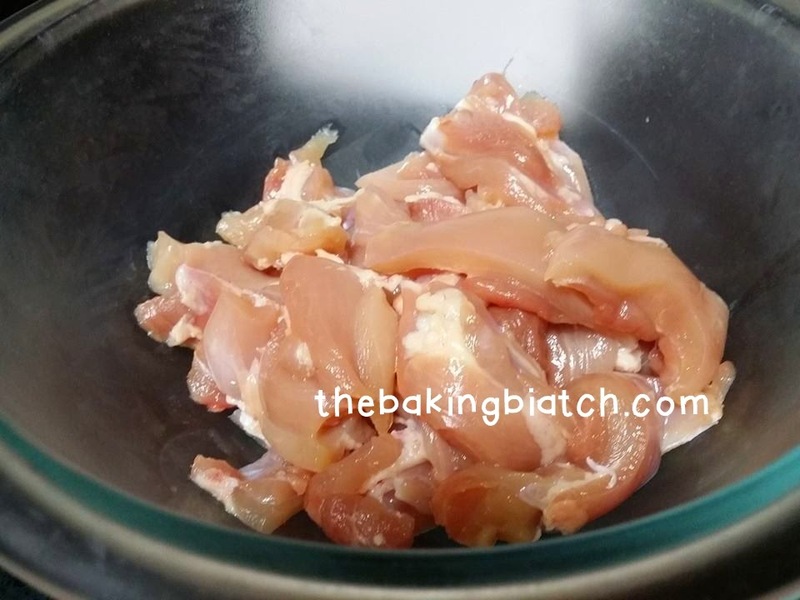 Slice your chicken into strips of about 5 - 7cm. Season with some salt and pepper. Add the milk to the egg. Mix well. Crush the potato chips, I did so using my hands. 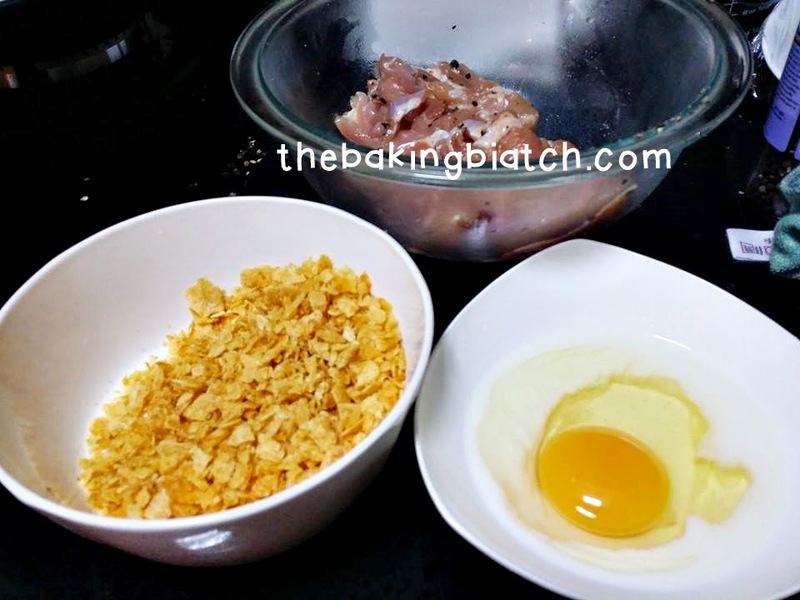 Dip the chicken into the egg mixture and roll in the potato chips to coat. 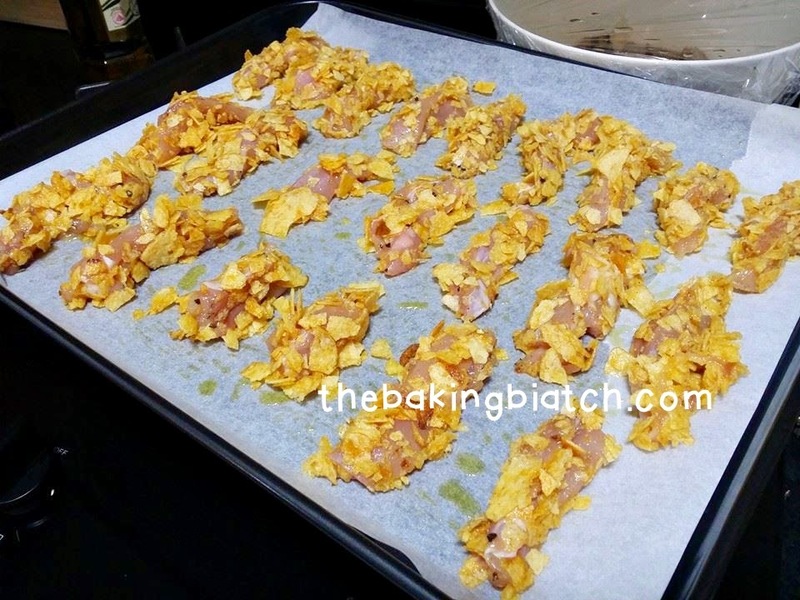 Drizzle some olive oil onto the chicken strips. Bake in a preheated oven of 200 degree Celsius (fan mode) for 10 minutes. 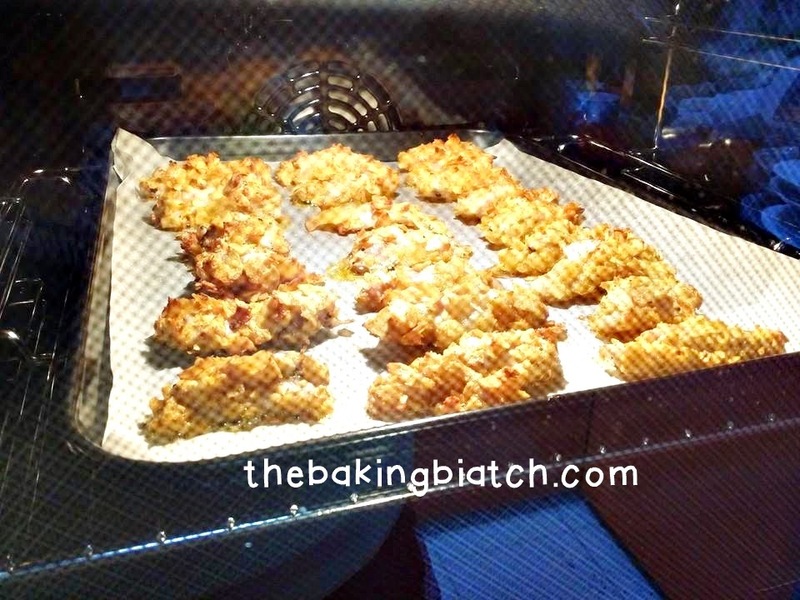 Remove chicken from oven and flip them over! hello, is there any way i can omit egg and replace something else as I am allergic to egg? Thanks in advance. hi cynthia... any idea if this might work using the philips air fryer? Hello! 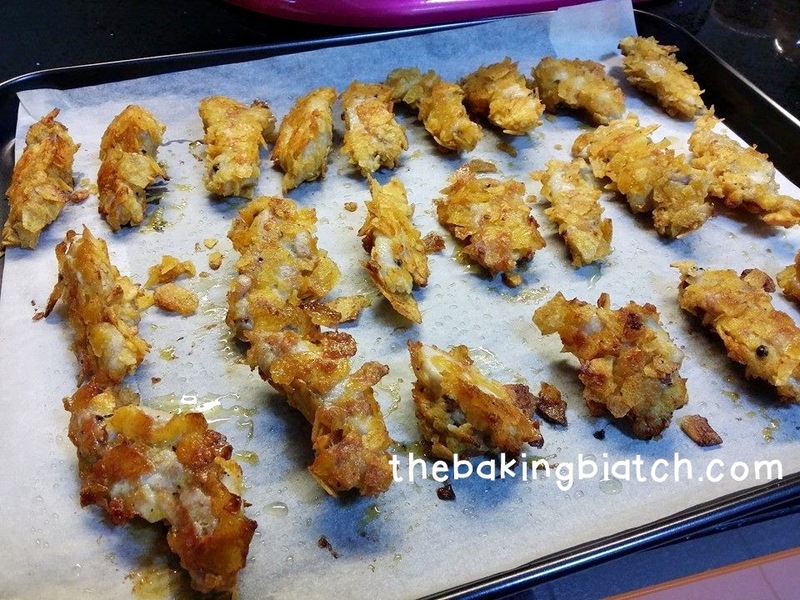 Yes it works in the air fryer too! I've friends who tried it successfully! hi can i choose to leave out the milk? must i replace it with sth else? like almond milk? i'm allergic to milk. Hi Cynthia! Would these work in an air fryer (like Phillips) if I don't have an oven? 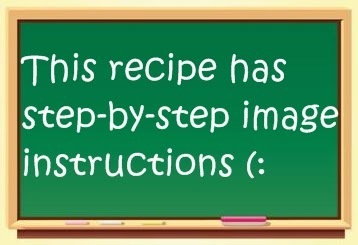 Hi Cynthia, can I pan fry this instead? I believe you can do so.. However, you may wish to season the crumbs as they can be rather bland. you over-cooked it? then it'd likely be dried.. 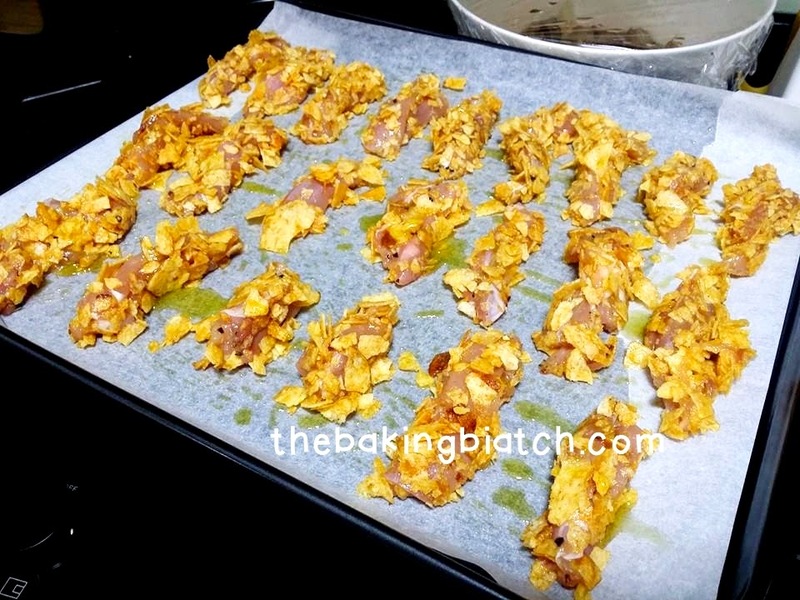 Original chips wont be as flavourful I suppose (: try seasoned chips! Wow looks amazing! I have never heard of this before. Chips look so good as well can't believe they are healthy! But I did not know this cooking method. I love the food at all difficult to handle temptation. Thank's for tips & sharing. my pleasure Sara! Enjoy it! hello! thank you! it's my pleasure to share! This post is very good. 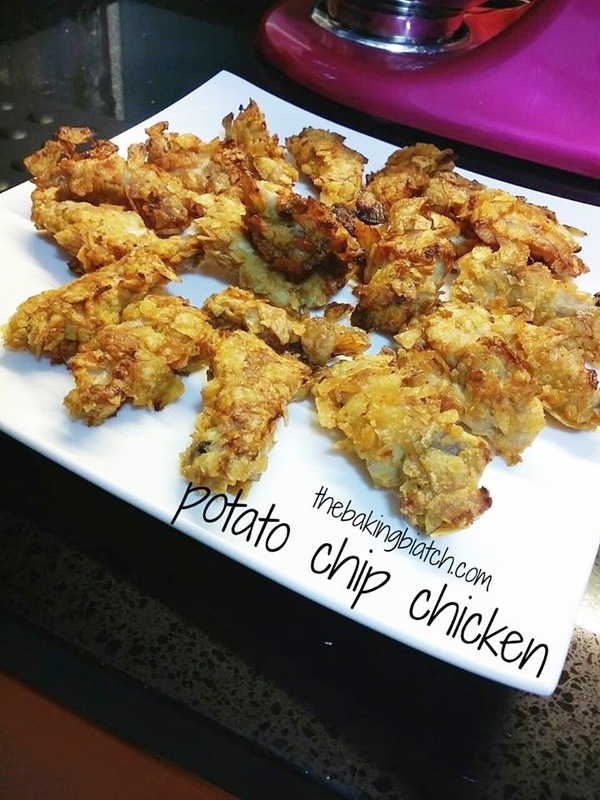 I love potato chips chicken. The chicken looks so delicious. 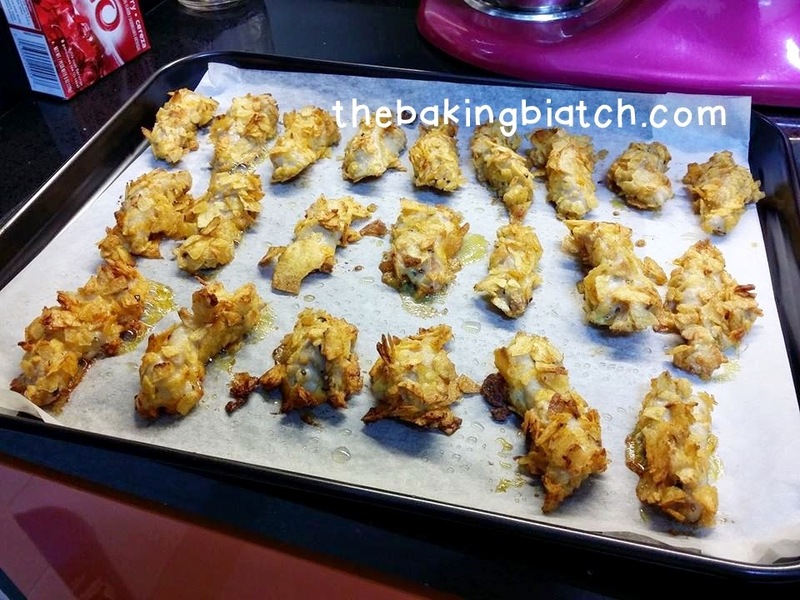 Thank you for sharing the recipe photos. Hope your next recipe published soon. Oh it's yummy Cynthia. Thank you for your details post. I'm going to try this for dinner.